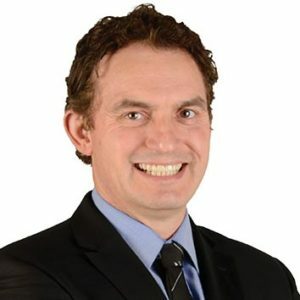 When LegaSea was first invited to have input into The Future Catch project by Dr Randall Bess we were excited because the project was described as a well funded study to improve recreational fishing. It didn’t take long to realise that this was yet another attempt to upgrade commercial rights to our fisheries and remove the Minister’s discretionary powers that provide for our fishing and environmental interests. It is vital to retain this Ministerial discretion because it is both a statutory duty and a defence for managing our fisheries in the best interests of all New Zealanders, not just a handful of corporate quota owners. The project’s third report has been presented to the Minister. LegaSea does not support the report’s recommendations to use current settings as a basis for allocating a defined proportion of each fishery for public use. Any such proportional allocation scheme is unfair because it takes away the Minister’s legal obligation to provide abundance for our kids’ fishing future. To achieve abundance and a fair go for future generations recreational fishing must stay outside of the failing quota system. We do not want a fixed quota, managing recreational catch by an overall allowance and individual bag and size limits is sufficient. 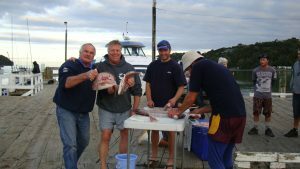 Since time immemorial saltwater fishing has been a part of our New Zealand lifestyle. In the old days the primary objective of fishing was sustenance for the family. Over time, fishing has taken on a broader significance. Fishing is now also a social event with family, it’s competition amongst friends, and an opportunity to take time-out from worklife or to spend precious time outdoors with the young ones. Given the significance of recreational fishing the Minister must remain free to both set aside allowances for our fishing and to make sustainable catch and allocation decisions. 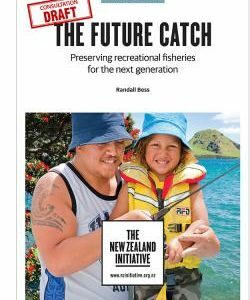 The commercial wild fish catch is over 400,000 tonnes per year while recreational catch estimates are a bit over 10,000 tonnes, yet The Future Catch report focuses on possible growth in recreational catch as the major flaw in New Zealand’s fisheries management. In the past 18 months we have heard horror stories about tonnes of fish being wasted through dumping and discarding from commercial vessels. Even the Ministry charged with managing our fisheries has admitted that discarding is “the single biggest issue we face in our wild stock fisheries”. In 2014 the Director of Fisheries Management admitted they couldn’t quantify the tonnages involved but did say, “we suspect they are significant to the point that they are impacting on stocks”. The Ministry’s failure to prosecute those responsible for dumping tonnes of fish is a travesty. Clearly the promises of husbandry, efficiency and innovation have long gone. They have been overtaken by the relentless drive by quota owners to squeeze a buck out of our fisheries and sideline recreational interests. Our precious fisheries are now a commodity and, much like meat and milk, the priority is to export our finest products leaving Kiwis with the leftovers. No thanks. It’s time for the Minister to wrest back control of our fisheries, apply a good dose of kaitiakitanga [guardianship], and establish policies that will deliver on the sustainability obligations we all have to our kids and theirs. Ministerial discretion must stay.